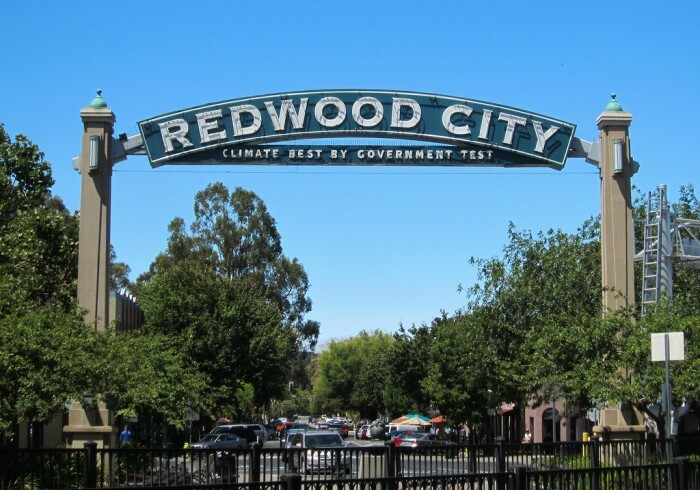 A government test in the early 1900s determined Redwood City’s climate to be among the world’s most temperate. Peninsula homebuyers have long scrambled for properties in sizzling Palo Alto, Menlo Park, and Atherton. But comparatively humble Redwood City increasingly is catching buyers’ eyes, thanks in part to the community’s booming residential, office, and commercial development. Once nicknamed “Deadwood City” for its failing urban center, Redwood City is experiencing a rebirth of sorts due to years of aggressive urban planning. As part of a long-term plan to attract residents and businesses to downtown, city officials paved the way for a new movie theater and a dramatic restoration of the historic San Mateo County Courthouse. Adopted in 2011, the Downtown Precise Plan also set the stage for robust development, establishing clear guidelines for future projects and streamlining the entitlement process. Indeed, about 2,400 new apartment units were in the proposal or construction phase in May, with 10 active construction projects in the downtown alone, according to a recent article in The Registry. And last month a New York pension fund purchased the new 132-unit Township apartment complex on Main Street for a whopping $83 million, the publication said. Zack also attributed the city’s recent boom to its active entertainment scene, which includes summer events, the recently reopened Fox Theatre, and an expanding list of eateries. Meanwhile, as homebuyers get discouraged with soaring prices, lack of inventory, and heavy competition in Palo Alto, Menlo Park, Atherton, and other tony communities, many are looking north to Redwood City, according to one of Pacific Union’s top Silicon Valley real estate professionals. The city of 140,000 not only enjoys one of the best climates on the planet but also boasts a downtown Caltrain station and plum location in the heart of the Peninsula near numerous tech companies. And many Redwood City schools have improved steadily over the years. “Redwood City’s on the upswing,” our real estate professional said, noting that many buyers are eager to move to neighborhoods like Horgan Ranch, which borders Atherton; Farm Hill, with its access to the sought-after Roy Cloud Elementary School; and Mount Carmel. In May the median price for a single-family Redwood City home hit $1.18 million, up 23 percent from $957,600 a year earlier, according to MLS data. While clearly not a bargain-basement market, Redwood City remains reasonable compared with Palo Alto and Menlo Park, where the May medians were $2.2 million and $1.88 million respectively. Not to mention, there are simply more homes available in Redwood City. A total of 806 properties in the Peninsula city sold over the 12-month period ending in May, compared with 521 in Palo Alto and 420 in Menlo Park. And the market seems poised to continue its upward trajectory. Case in point: In 2009 our real estate professional sold a home in Horgan Ranch for about $1 million. A few months ago, that client resold the property for $1.39 million, she said.